Cando un ten un blogue de cociña, aproveita para facer todas esas receitas que sempre quixo facer, ou polo menos todas aquelas que lle gusta papar. E a empanada de millo é unha das miñas preferidas. 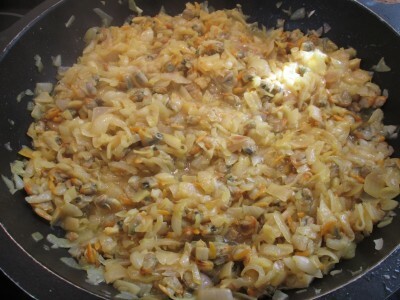 Gústame con berberechos, con xoubas, con bacalao, con zamburiñas (desta seguro que haberá receita!) 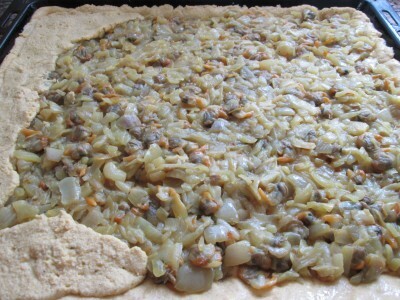 e case con calquera ingrediente! Aterraba un pouco a idea de facela porque todo o mundo me dicía: esa empanada é moi mala de facer, porque a masa non liga. E é ben certo que non liga, pero xa vos digo que iso non a fai complicada e polo resultado ben vale a pena. Así que xa vedes que non hai excusa. Imos aló! *Eu boteille de centeo, pero podedes empregar só millo ou mesturala con fariña de trigo. 2. Engadimos o sal e mesturamos de novo. 3. Nun vaso de auga (200 ml) tépeda, desfacemos o fermento e engadímolo á masa. 4. Seguimos botando auga ata que a masa xa non se nos pegue nas mans. A cantidade de auga é orientativa, por iso o máis recomendable e ila botando pouco a pouco e mesturando. 5. Deixamos repousar a masa durante unha hora tapada cun trapiño nun sitio quente (podedes quentar o forno uns 5 minutos e meter a masa dentro). Non fermenta moito, pero convén que repouse. 6. Mentres, preparamos o recheo. A min gústame simplemente con cebola e berberechos, pero hai quen lle bota tamén pementos. Fritimos a cebola. 7. E cando xa case estea a punto, engadimos os berberechos. Fritímolos ata que estean listos e salgamos. 8. Engadimos o colorante ou azafrán e remexemos suavemente para que colla cor. 9. Co aceite de fritir as cebolas e mailos croques, “pintamos” a bandexa do forno tanto por baixo coma polos lados. Non teñades medo de botar ben de aceite, porque a masa de millo precisa moito. 10. E agora toca ir facendo a base da empanada. Coas mans húmidas, colleremos pequenos anacos de masa, faremos unha pequena bola e irémola colocando pola base, procurando facer as beiras e tentando que quede o máis fino posible. De cando en vez, teremos que lavar as mans para que non se nos pegue a masa. 11. E iremos cubrindo toda a bandexa desde xeito, unindo os anacos de masa. 12. Cando xa estea a base lista, botamos o recheo por riba e mailo aceite de fritir. 13. E agora toca facer a parte de arriba do mesmo xeito que fixemos a de abaixo. Agora será máis difícil que quede tan finiño coma por baixo, pero quedará ben igualmente. 14. Unha vez rematada, podemos “dobrar” as beiras cara adentro coa axuda dun coitelo. 15. Antes de metela no forno, faremos as marcas do corte para que despois sexa máis doada de cortar. Podédelo facer cun coitelo. 16. Metémola no forno a 180ºC durante uns 50 minutos a media altura no forno. E durante 10 minutos tamén a 180º nunha altura superior, para que colla unha cor dourada por riba. E listo! Xa temos a nosa empanada de millo de berberechos feita! Xa vedes que a pesares da fama, non resulta nada complicada e, como xa vos dixen antes, vale moito a pena, pois está boísima! Ademáis, podedes recheala dos ingredientes que máis vos gusten. The best thing about having a blog is the possibility of preparing those recipes you always wanted to prepare, or those you always wanted to eat and repeat! 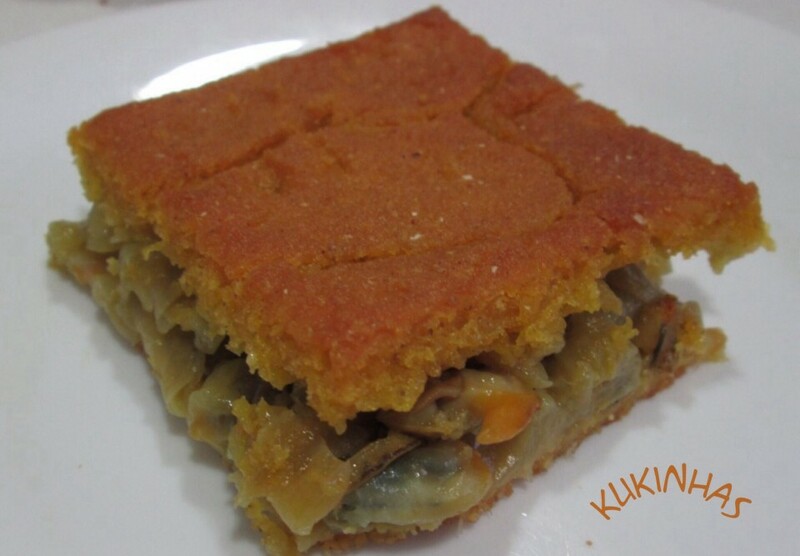 This empanada made with cornflour is one of my favourites! 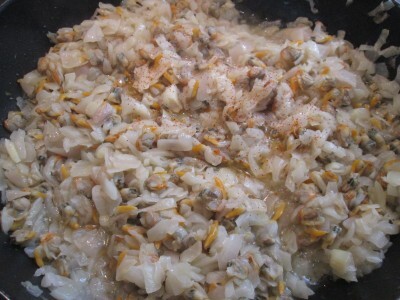 I like it with cockles, queen scallops, little sardines, cod…and almost any ingredient! This kind of empanada was and is isually eaten with seafood or fish. Although a bit scared at first, because I’ve been warned about the difficulty of this empanada (you have to do it step by step because cornflour dough does not bind), I find it quite easy, and I must confess that the result is totally worthy! Let’s go! 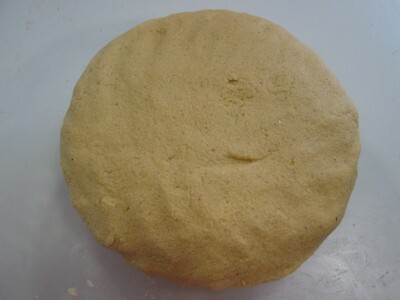 *I used rye flour, but you can use only cornflour or add some plain flour. 3. 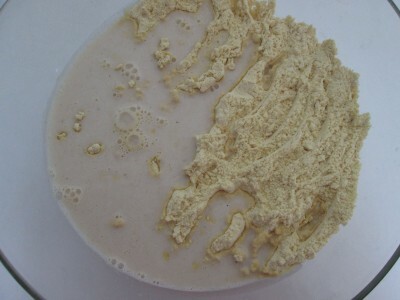 In a glass of warm water (200 ml), dissolve the fresh yeast and add it to the flours. 4. 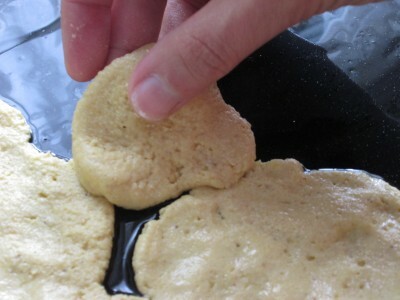 Keep on adding cold water until the dough stops being sticky. 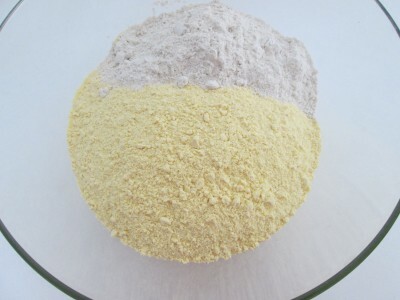 The quantity of water may vary, so I recommend you to add it bit by bit while mixing. 5. Let it settle for an hour covered by a cloth in a warm place. 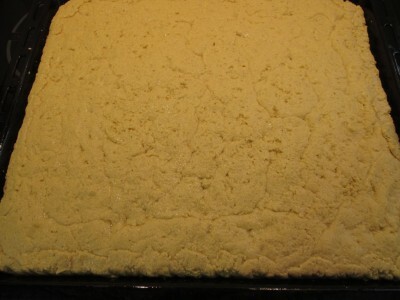 You can heat the oven for 5 minutes and put the dough inside it. It doesn’t leaven a lot, but it needs to settle. 6. Meanwhile, prepare the filling. I like it with onion and cockles, but you can add peppers. Fry the onion. 7. 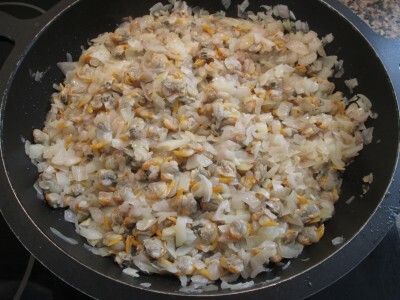 When almost ready, add the cockles and fry them for a while. Add salt. 8. Add the saffron or colouring and mix softly for it to get colour. 9. 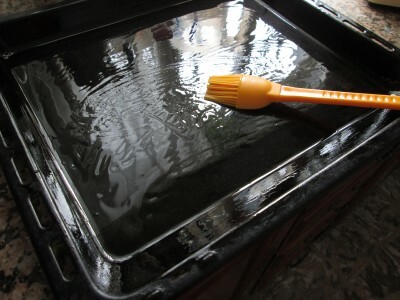 With the oil used to fry the onions and cockles, “paint” the baking tray, on the sides too. 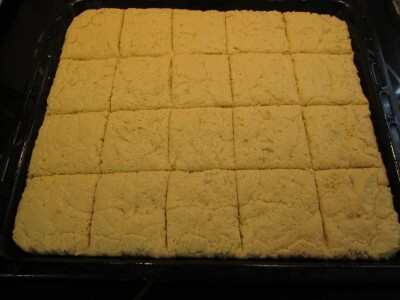 Don’t be afraid of putting too much oil, this kind of dough needs quite oil. 10. And now it’s time to prepare the empanada base. 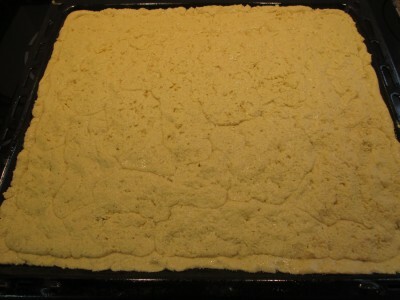 With your hands wet, take small pieces of dough, form a ball, and spread it over the tray, covering the sides too, trying to do it as thin as possible. From time to time, you will have to wash hands, because the dough can turn sticky. 11. 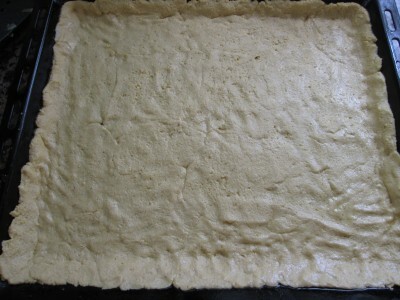 Cover the whole base this way, putting the pieces of dough together. 12. 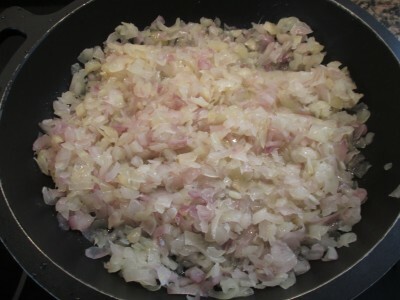 When ready, add the filling and the oil we used to fry it. 13. And now, the top of the empanada! We will do it in the same way as we did the base. Now, it will be a bit harder, but the top does not need to be so thin. 14. Bend the sides of the empanada towards the inside using a knife or a fork. 15. Before baking, make the cut marks using a knife. 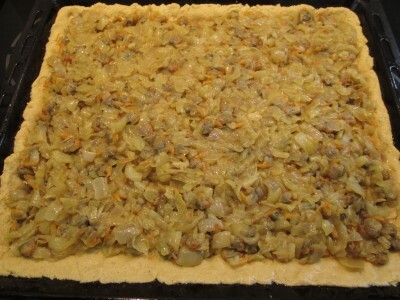 Thus, the empanada will be easier to cut after baking. 16. 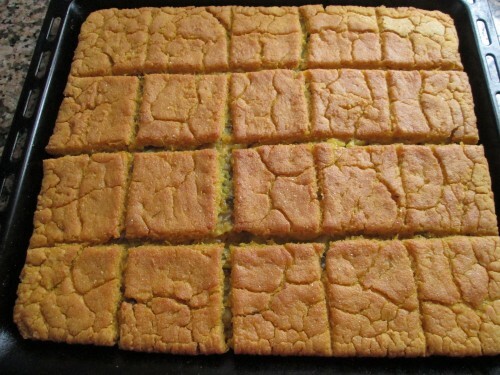 Bake it at 180°C/375°F for 50 minutes at a medium position in the oven. Then, at the same temperature, for 10 minutes at the top of the oven, to get a dark golden colour on top. And that’s it! Here we have our Galiciam cockle empanada ready to be eaten! 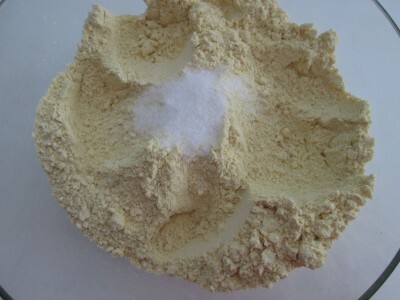 As you can see, it’s very easy and the result is amazing! And I’m sure you’ll love it. And you can try different fillings, of course. Moitas grazas! As túas receitas teñen unha pinta divina, e as fotos son preciosas!